A 700-gallon oil spill caused by a mechanical failure aboard a Navy vessel may not reach San Diego beaches after all. Navy officials previously said an oil sheen resulting from the Wednesday afternoon spill had the potential to reach the shore in Imperial Beach or Tijuana sometime Thursday. Helen Haase, a Navy environmental public affairs officer, said about 3 p.m. the oil was moving less than anticipated and appeared to have dissipated. “At this moment, it might not even reach shore,” she said. The Navy is monitoring the spill, Haase said, and flotation devices are being deployed near the mouth of the Tijuana River as a precaution to protect wildlife. 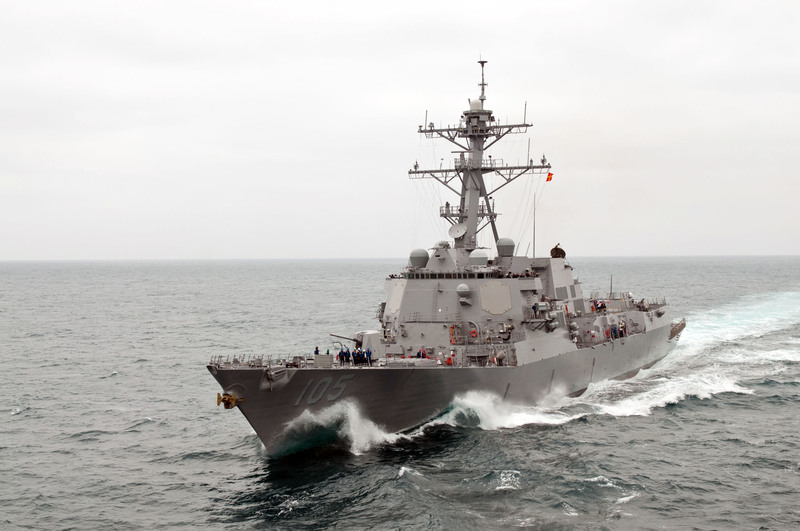 The spill was caused by a mechanical failure aboard the USS Dewey, a 510 foot guided-missile destroyer, during an afternoon transit Wednesday, Naval Base Coronado spokeswoman Sandra DeMunnik said. No crew members aboard the ship were injured by the mechanical failure. “The leak was stopped and the Navy is coordinating remedial actions with local U.S. Coast Guard officials at this time,” DeMunnik said. The public was advised to heed all warnings from public officials and lifeguards concerning the oil sheen and any potential water hazard. Cmdr. Anthony Webber is commanding officer aboard the Dewey, which returned to San Diego on July 31 after a four month deployment to the western Pacific Ocean. There, crew members conducted routine patrols, performed maritime and theater security missions and took part in several exercises with the Japanese military. 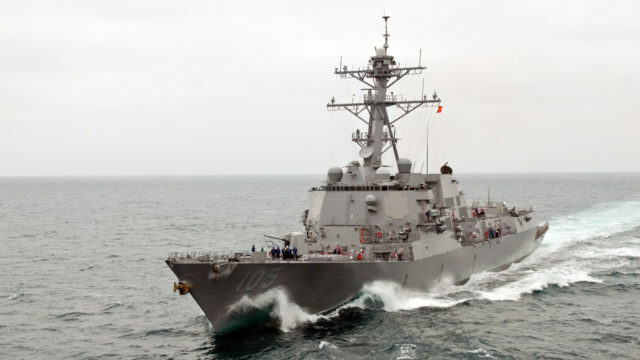 Navy officials did not immediately disclose what type of training or other operations the Dewey was conducting Wednesday or the cause of the mechanical failure.